12th Annual Pinot Noir Summit Produced by Chief Wine Evangelist, Barbara Drady, this event will be held March 9 at The Presidio in San Francisco. Early Bird discounted tickets are now on sale at www.affairsofthevine.com. The event will feature a Sparkling Wine Brunch, VIP Pinot Noir Workshops, the Pinot Noir Blind Tasting of the best wines from the Pinot Noir Shootout, and a Grand Awards Tasting & Ceremony with the winemakers. I am stepping out from under my writing cap to participate as Competition Director and would love to meet any of PinotFile readers at this special Pinot Noir sensory experience. I am gathering some special magnums of Pinot Noir to share. World of Pinot Noir This grand event, February 28-March 1, 2014, will be held this year in Santa Barbara at the plush Bacara Resort & Spa. Get off your couch and head to Santa Barbara for a weekend of immersion in the special world of Pinot Noir. Many top wineries are participating including Alma Rosa, Alta Maria, Ampelos, Anaba, Baxter, Belle Glos, Black Kite, Brewer-Clifton, Calera, Cirq Estate, Couloir, Domaine Serene, Dunstan, EnRoute, Failla, Fiddlehead, Flowers, Flying Goat Cellars, Foxen, Freeman, Gary Farrell, Hirsch Vineyards, Keller Estate, Ken Brown Wines, Kosta Browne, La Crema, Laetitia, Littorai, MacPhail, Maison Louis Jadot, Martinelli, Merry Edwards, Papapietro Perry, Patz & Hall, Paul Lato, Peay, Penner-Ash, Pisoni, Roar, Robert Talbott, Sea Smoke, Siduri, Seagrape Wine Co., Sinor-LaVallee, Soter, Talisman, Talley, Thomas Fogarty, Thomas George, Trisaetum, Twomey, Williams Selyem and many, many more! Get tickets now at www.worldofpinotnoir.com. Chehalem Mountains Winegrowers Trading Cards The Chehalem Mountains Winegrowers (CMW) have issued trading cards introducing the unique characters who make this wine growing region special. The CMW, which includes Ribbon Ridge, has rolled out the first collection of limited-edition trading cards featuring 28 characters including respected industry pioneers and many of the well-known winemakers in Oregon. Card collectors will find winery statistics and interesting information on soils, acreage, grapes and more, and discover little-known facts about the people behind the wines. Surprisingly, there is a former rock band manager, a winemaker who plays with insects, and one who rides dressage. Each winery will hand out limited edition trading cards on request. Patrons who collect all cards will receive complimentary wine tastings for two at participating wineries, and be entered in a drawing to win tickets to the CMW annual consumer event and other prizes. The Chehalem Mountains AVA, established in 2002, is home to approximately 150 vineyards over 1,400 acres, and over 50 established wineries and producers. 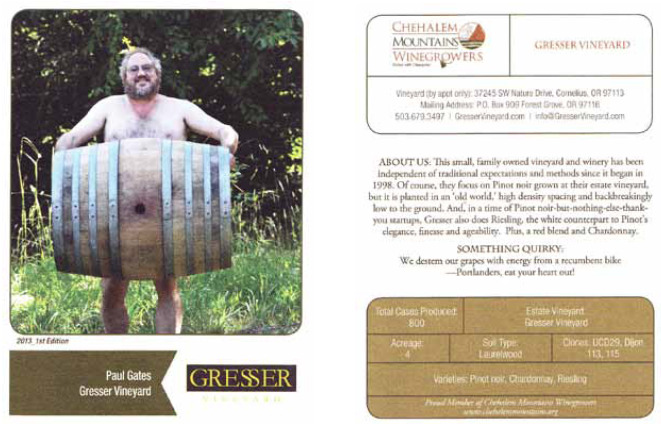 Chehalem (pronounced “Sha-HAY-lum) is derived from a Calapooia Indian word best translated as “gentle land.” The card below shows Paul Gates of Gresser Vineyard. Visit www.chehalemwinegrowers.org for more information. $80 New Norm for PINO (Price Is No Object) In the past few weeks I have been receiving new offerings for the 2012 vintage Pinot Noirs from many of my favorite producers and I have noticed that $80 seems to be the norm or sweet spot for many quality wines, with prices often ranging from $70 to $100 a bottle. An $80 bottle of Pinot Noir with California tax and shipping pushes the cost over $90 a bottle. Wineries feel flush now that direct to consumer (DtC) wine shipments are at a record high and apparently quite comfortable with charging $80 a bottle. The Annual Wine Shipping Report from Ship Compliant and Wines & Vines shows DtC wine shipments growing at a rate far exceeding the overall growth of the American wine retail sector. DtC shipments grew to $1.57 billion dollars in 2013, an increase of 7.7% from 2012 and the volume of shipments increased 9.3% to 3.47 million cases. Average price per bottle was $37.78. Pinot Noir grew in average bottle price in DtC shipments to $41.97 (an increase of 0.9% over the prior year), while red blends, Merlot and Chardonnay decreased in price. Shipments of Pinot Noir continue to increase across the country. Both Sonoma County and Oregon, both hotspots for Pinot Noir production, experienced explosive growth in direct shipments in 2013. Jimi Brooks’ Legacy Continues. Less than two years ago, Jamie Brooks Hueck was approached by a film company called Three Crows Media. They were filming a movie called “American Wine Story” about why people leave their day jobs to risk following their dreams by entering the wine industry. As they were interviewing many winemakers and growers, they kept hearing about the story of Jimi Brooks. After meeting with them, Janie agreed to participate. Since then, Pascal, Chris, Janie’s spouse, David, and Janie have been interviewed many times. Last November, Janie went to a screening of a rough cut of the movie in Salem. The history of Janie’s brother, Jimi, and how he found his way into the wine industry and founded Brooks Winery is featured prominently in the movie. It is an amazing tribute to Jimi Brooks and his legacy ten years after his passing. Rough cuts of the movie are being submitted to various Film Festivals. Brooks is looking to host screenings of the movie throughout the country once it is finished and at some point should be available on DVD. 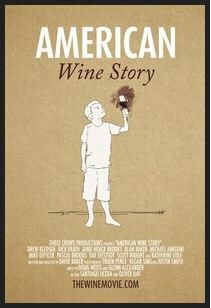 Check it out at www.thewinemovie.com. 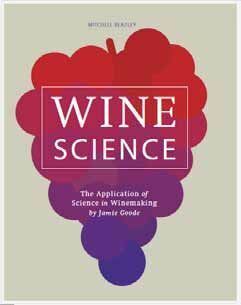 New Edition of Wine Science by Jamie Goode Jamie Goode, who writes an award-winning blog at www.wineanorak.com, will release an updated version of Wine Science: The Application of Science in Winemaking, which is published in the United States as The Science of Wine: From Vine to Glass. It will be available from www.amazon.co.uk February 3, and from www.amazon.com at the beginning of April. It has been nine years since Goode wrote the first edition, so he has added new chapters, revised the entire book, and contributed a considerable amount of newly discovered knowledge. Highly recommended. 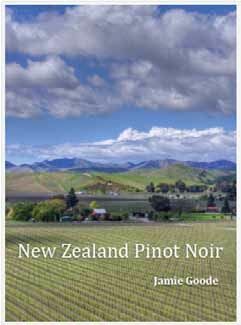 Jamie Goode Also Releases New Zealand Pinot Noir An extended report, or e-book, on New Zealand Pinot Noir discusses style, vine age, clones, a brief history, and a focus on 85 producers and 255 wines. The 115-page e-book is available. Available on Amazon Kindle. Yamhill-Carlton Features Branded Bottles According to Wines & Vines, the Yamhill-Carlton AVA has initiated a program in which Pinot Noir bottles are embossed with the name of the appellation and logo of the Yamhill-Carlton Winegrowers Association. Branded bottles are used in parts of Europe such as the Rhone and Piedmont, but are uncommon in North America. Several wineries will feature the new bottles including Ken Wright Cellars, Asilda Winery, Ghost Hill Cellars, Lazy River Vineyard, Roots Wine Co., Stag Hollow and WildAire Cellars. Arista Winery Garden & Chef Update Arista Winery in the Russian River Valley has announced that Executive Chef and gardener, Tim Kaulfers, is harvesting from Arista’s estate gardens year-around, and is planning seasonal menus around the winery’s garden bounty. Chef Tim’s goal is to use almost exclusively the winery’s gardens to provide the seasonal ingredients. Reservations can be made to taste how estate-grown produce and local meats are crafted into fine-dining dishes paired with Arista wines. The Arista Food & Wine Experience is offered Tuesday through Saturday at either 11:00 AM or 2:00 PM by advanced resvervation for $95 per person. Contact Arista’s Director of Hospitality, Leslie Farvel, at lesliefarvel@aristawinery.com, or call 707-473-0606. Arista Winery is an outstanding producer of premium Pinot Noir, located on Westside Road in Healdsburg. Eight Street Wineries Open House On February 22, 2014, from 12pm-4pm, the nine members of the Eighth Street Wineries of Sonoma will have a open house. Wineries include Pinot Noir producers Parmelee-Hill Wines, Talisman Wines, MacRostie Winery, Three Sticks, Anaba Wines, Enkidu Wines and Tin Barn Vineyards. Visit www.eighthstreetwineries.com/events/ for information and tickets ($40). Yeast Identified that Produces Lower Level of Alcohol The Australians released their research before publication in the journal Applied and Environmental Microbiology. The escalation of alcohol percentage in wines over the last 15 years, the concern about health issues, and taxes (some countries tax wine based on alcohol content), have been the impetus to develop wines with lower alcohol content. 50 different isolates were studied and the most successful yeast was a non-Saccharomyces yeast, Metschnikowia pulcherrima AWRi1149. Once the slower-growing yeast had consumed 50 percent of the sugar, S. cerevisiae was added to finish the process. This sequential inoculation reduced alcohol content in Shiraz from 15.0% to 13.4%, and somewhat less in Chardonnay. 50th Anniversary of Hearty Burgundy My father’s favorite wine was Gallo Family Vineyards Hearty Burgundy so it is a vivid part of my past. Hearty Burgundy was first introduced 50 years ago by pioneering American winemakers Ernest and Julio Gallo and was the favorite wine of the brothers. The red blend has often been praised as the best wine value in California. To commemorate the 50th anniversary, Gallo Family Vineyards has produced a limited edition bottle that pays homage to the original flavor profile that first brought Americans into wine in the 1960s and 1970s. The exact varietal mix has varied from vintage to vintage, but Zinfandel and Petite Sirah have always been a part of this wine, making “Burgundy” a glaring misnomer. In the early 1970s, Hearty Burgundy did contain Pinot Noir from now iconic producer Rochioli. The limited edition bottling will go on sale in February 2014 for a suggested retail price of $9 for a 1.5 liter bottle. China Top Consumer of Red Wine According to www.thedrinksbusiness.com, China has become the largest red wine market in the world, consuming 155 million 9 liter cases in 2013. Chinese red wine consumption has rocketed by 136% since 2008. France is now in second place and Italy in third place. The IWSR survey found several reasons for this appetite for red wine including the perception that wine is healthy and the association of red with wealth, power and good luck in Chinese culture. China is the fifth largest producer of wine in the world and supplies 80% of the wine consumed in that country. Imports, however, multiplied seven times between 2007 and 2013 and now represent 18.8% of all wine consumed in China. Riedel Glass for Coca-Cola According to Blake Gray posted in www.wine-searcher.com, Riedel has produced Coca-Cola + Riedel glasses which sell for $19.99 each. The top of the stemless glass is the shape of Riedel’s O-series Sauvignon Blanc glass, and the thin waist opens to a small bottom section, giving the glass a look of the Coke classic 6!-ounce glass bottle. The glass is not recommended for Diet Coke, Pepsi- Cola or other colas. As a side note, Riedel is also developing a range of glasses for tea.